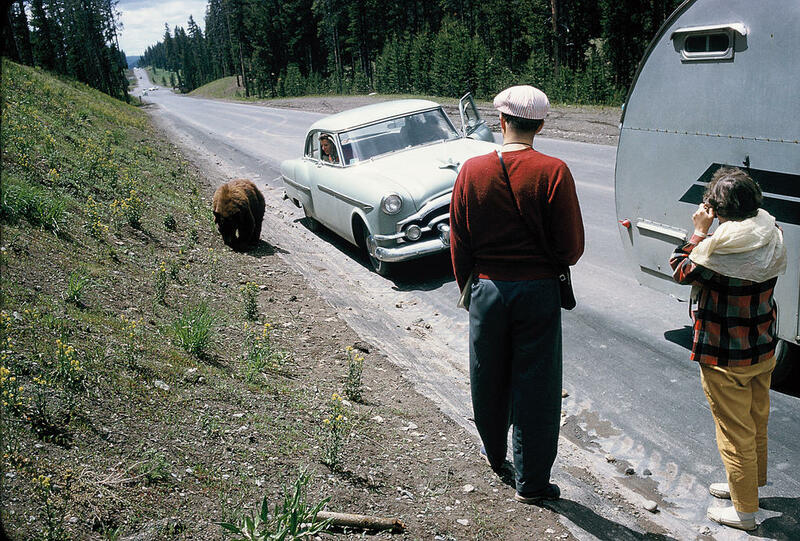 Tourists and a bear in Yellowstone in 1956. In the summer of 1972, a young man named Harry Walker left his family’s farm in Alabama and headed for adventure in Yellowstone where he was killed by a grizzly bear. The subsequent court battle raised serious questions about how we manage America’s national parks. In a new book, the writer Jordan Fisher Smith traces Walker’s fatal path, which led him to questions about how much humans should try to engineer nature and soften its sharp edges for our own enjoyment. Jordan joins us Monday to talk about it. Jordan Fisher Smith worked for 21 years as a park ranger in California, Wyoming, Idaho, and Alaska. He’s the author of two books, Nature Noir [Amazon|Indiebound] and his newest, Engineering Eden: The True Story of a Violent Death, a Trial, and the Fight Over Controlling Nature [Amazon|Indiebound].